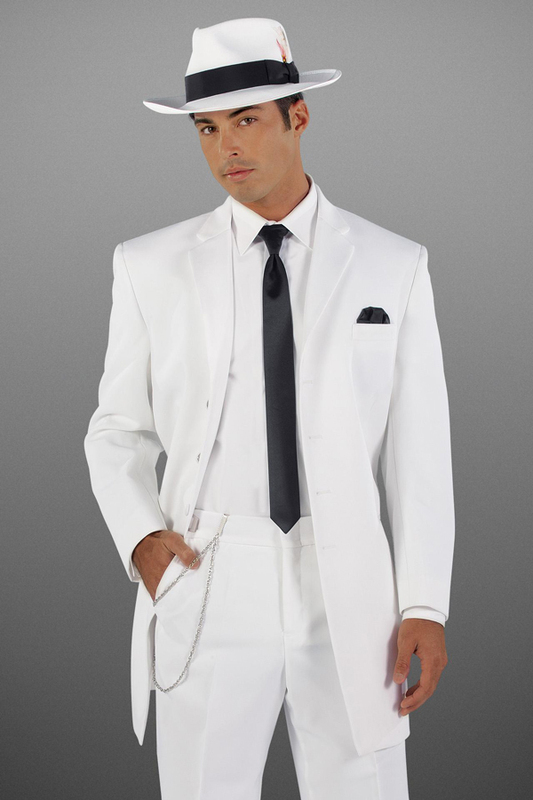 Stand out from the rest in the White “Cool” tuxedo. Tailored in a traditional fit with a longer four-button jacket that features a double-edge satin notch lapel and satin-covered buttons. 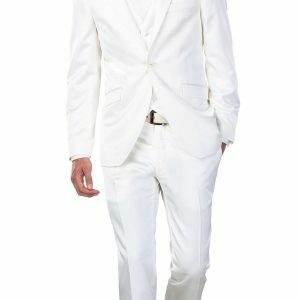 Customize the look with black or white pleated or flat front trousers. 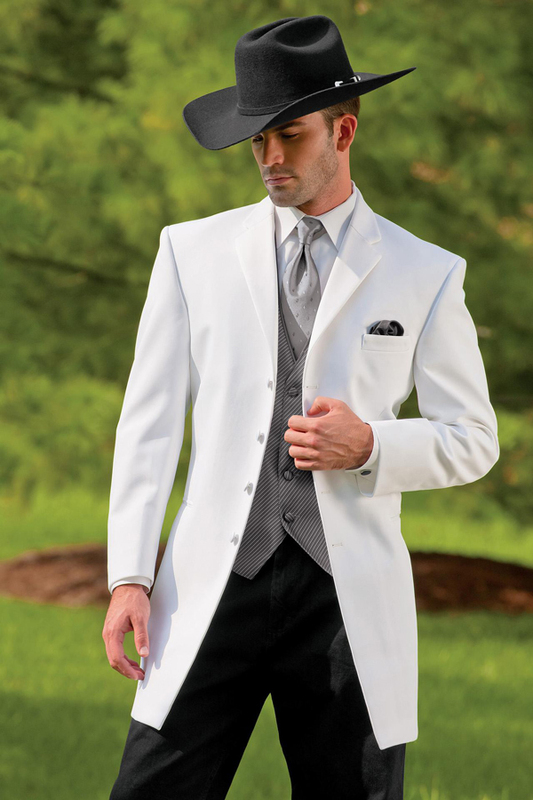 Ideal for warm weather formal and semi-formal occasions.